It is very common for people to want a smooth ride from their vehicle. 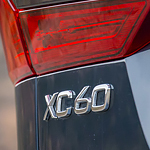 One of the examples when it comes to a smooth ride is the 2019 Volvo XC60 Luxury SUV. It has been given a design that is meant to show a smooth ride that will make you feel like you are riding on air. In the Volvo XC40, you can stay focused on the road ahead. This popular luxury subcompact SUV is equipped with an advanced voice-recognition system. It allows you to control various aspects of your ride while you're on the road. Our team at Volvo Cars of Perrysburg is eager to show you how well this feature works. 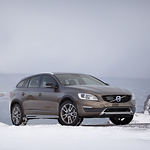 The Volvo V60 Inscription is a sports wagon that comes in several metallic colors, and each metallic cover has a chrome finish, which makes the car have more of a strong appearance. The inside of the car comes with leather seats, which are all heated. Furthermore, each passenger gets to determine the climate of their area, and all of these controls are very easy to find. Priced at more than $48,000, the Volvo S90 Momentum has a respectable stance in the global market for luxurious sedans. This high-end European car at Volvo Cars of Perrysburg is available in the T5, T6 and T8 trims. When you sit behind the steering wheel of this Volvo model, you'll have a clear view of the advanced Digital Driver Display, which measures 12.3 inches diagonally. This electronic instrument cluster gives you updates on performance and other settings. An infotainment system with the Sensus Connect technology is another signature amenity inside this lavish sedan. 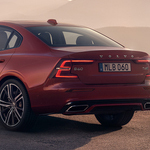 If the Volvo S60 R-Design trim has caught your eye, we think that it is an excellent choice. At Volvo Cars of Perrysburg, we try to keep our consumers in Perrysburg well-informed about the vehicles that we offer so that they are completely satisfied with their purchase. 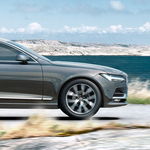 Read further to learn about the Volvo S60 R-Design trim. Using a car or SUV mounted roof rack has almost become a lost art. Whether for convenience or because of intimidation, roof racks rarely get used these days. However, once people get comfortable with the idea of using them, they are actually very useful. With the exception of purpose built racks and rack attachments for bikes, skis, or luggage boxes, roof racks are designed to be as versatile as possible. This can also cause anxiety in use, as most allow for a large amount of freedom in movement.